originally built as military fortress, changed by Nazis to a “Gift of a Town” where Jews were forced to live under horrible conditions. This small, rather unappealing town located about 60 km north of Prague was originally built as a military fortress by the Emperor Joseph II., and named after his mother Maria Theresa as ” the city of Theresia”, in order to protect the boundary from possible Prussian military attack. Its military purpose was never utilized, however already in the times of Austrian Empire one of its parts – so called “Small Fortress” was used as prison for political prisoners. During WW II, the city – so called “Main Fortress” was converted into a Jewish Ghetto, where Jews from all over the continent were transported. You will learn about the life conditions during the infamous period. Part of the exhibition of the Ghetto Museum is also unique collection of art created by the prisoners. You will be picked up at hotel by your guide and driver. 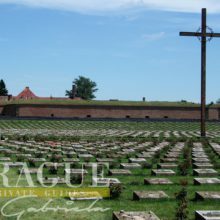 The ride from Prague to Terezin takes about an hour and takes you on highway through the agricultural landscape to the north of Prague. 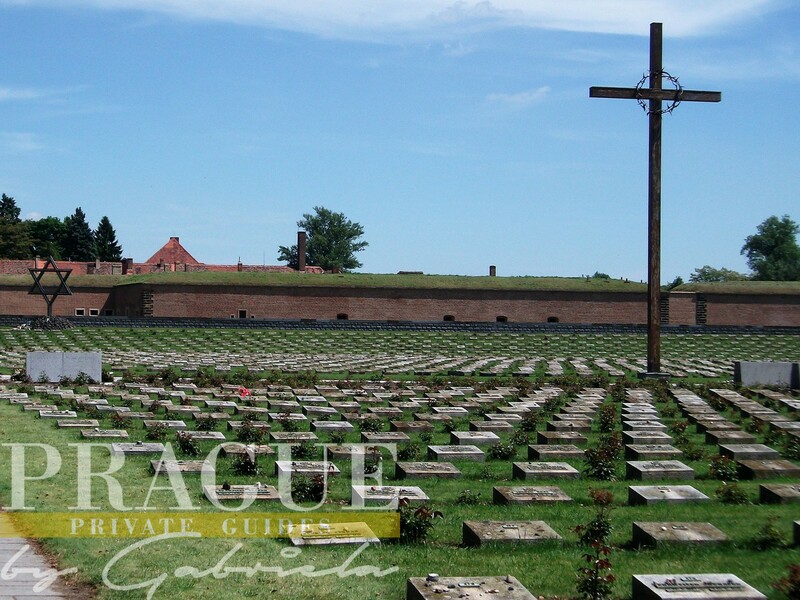 After arrival to Terezin, we will first explore the Small Fortress where you will be taken around by local guide. After that we will transfer to the actual town, which served as a Jewish Ghetto during the WWII. Here we will visit the Museum of Ghetto, where we will also have a chance to watch parts of the “propaganda” movie shot by Nazis. Further we will visit so called Magdeburg Barracks, which houses a special exhibition on artwork produced by Jewish inmates of the Terezin Ghetto.